The examples on this page are samples of the logos I have created as a graphic designer working either for the Cornell Lab of Ornithology or as a freelance designer. The Dryden Rail Trail is a general-use recreational trail that will be build on the historical railroad that passed through the town of Dryden. When many of the easements for the trail had been obtained, the Rail Trail Task Force (which consists of four Town of Dryden representatives and seven community members) felt it was time to have a logo. 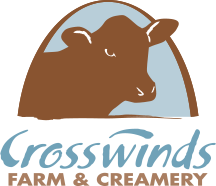 Crosswinds Farm & Creamery is a small farm in Upstate New York that specializes in cheese and meat. The font, color, and modification of the dot over the lower-case letter "i" suggest the windy nature of the farm's location. The Brown Swiss cow (created by me), is their primary farm animal, and the shape around the cow is the iconic shape of their barn. The Dryden Area Intergenerational Band & Chorus is a unique community summer group that encourages participation regardless of age or skill level. The band often has five tuba players participating and a large brass section, so I chose gold for one of the group's colors. Migration Celebration is an annual event at the Cornell Lab of Ornithology that engages the public in learning about bird biology, bird migration, and the projects and programs that are housed at the Lab. The logo uses birds created by Charley Harper (with permission) and and an energetic font and bright colors to convey the fun atmosphere of the day. Project Puffin began in 1973 as an effort to restore Atlantic Puffins to their former breeding islands in the Gulf of Maine. They now also manage the Hog Island Audubon Camp in Maine. These two logos were designed to be complimentary. The illustration of the puffin for the Project Puffin logo was supplied to me, but I created the silhouette of the osprey for the Hog Island logo. 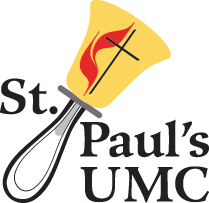 St. Paul's United Methodist Church in upstate New York supports a bell choir that participates in festivals. This logo was designed specifically for apparel. The cross and flame in the bell is the symbol of the United Methodist Church, and the bell was drawn from a Mallmark E5 bell. Raven is a sound analysis software developed by the Bioacoustice Research Program at the Cornell Lab of Ornithology. This logo is used on the packaging and on the program's splash screen. Raven Lite and Raven Exhibit are two other versions of the software that use the same logo but with different colors for the background. I created the silhouette of the raven, and the sonogram within the silhouette is the call of the raven and was generated by the Cornell Lab.